We strive to be the best in our business by investing in our employees. Netelligent Corporation announced today that CRN®, a brand of The Channel Company, has named Netelligent to its 2016 Tech Elite 250 list. This annual list honors an exclusive group of North American IT solution providers that have earned the highest number of advanced technical certifications from leading technology vendors. To compile the annual list, The Channel Company’s research group and CRN editors work together to identify the most customer-beneficial technical certifications in the North American IT channel. Companies who have obtained these elite designations— which enable solution providers to deliver premium products, services and customer support—are then selected from a pool of online applicants. “We are honored once again to be recognized as one of the top solutions providers. We strive to be the best in our business by investing in our employees. With these certifications, we can recommend the best consumption model, on-premise, managed, or a cloud solution, to our customers that result in extraordinary business outcomes and ongoing success,” said Johnson. 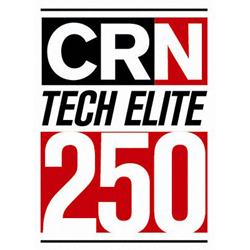 Coverage of the Tech Elite 250 will be featured in the April issue of CRN, and online at http://www.crn.com. Netelligent Corporation is a technology solutions company. Netelligent provides companies with the basic technologies they need to run their business (phone system, servers/virtualization, disaster recovery, security, networking, and video). Our mission is to help elevate business above technology. Founded in 2003, Netelligent is headquartered in Chesterfield, Missouri with a regional office in Kansas City and two data centers located in Denver and St. Louis. Netelligent is a Cisco Gold Partner and SOC II Certified. Additional information about Netelligent can be found on their website http://www.netelligent.com.